Things I enjoy in life: riding my horse, diet coke, cool spring breeze, fancy stitch tack. Things I don’t enjoy in life: humidity, extreme dust, Friday afternoon meetings, bad drivers, and FLIES!!! 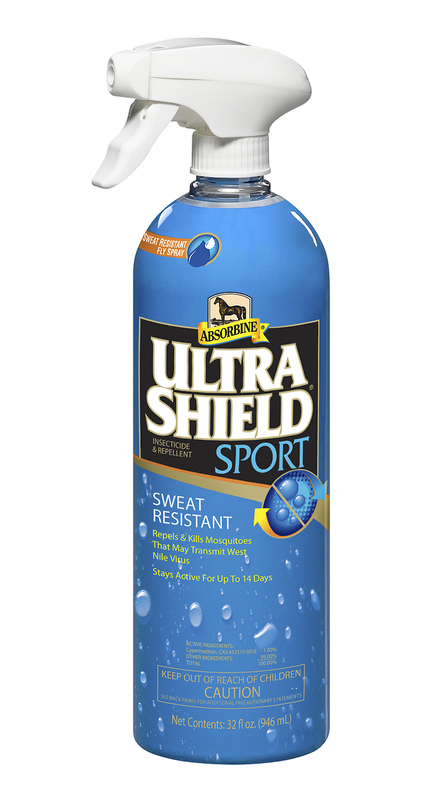 To help troubleshoot the flies issue, Absorbine sent me three of their UltraShield fly sprays to review – UltraShield Sport, UltraShield Sport Continuous Spray (Aerosol), and UltraShield Red. I’ve been using these three products for about a month now, and have gathered my thoughts for you dear readers who may dislike flies as much as me (really, who really likes flies anyway?). The idea behind UltraShield Red fly spray is that it is designed to hold up to the sun’s harsh UV rays that can break down the chemicals in fly spray over long periods of turnout. Pros: The fly spray is light, has a nice smell, and leaves a touch of softness in the hair. 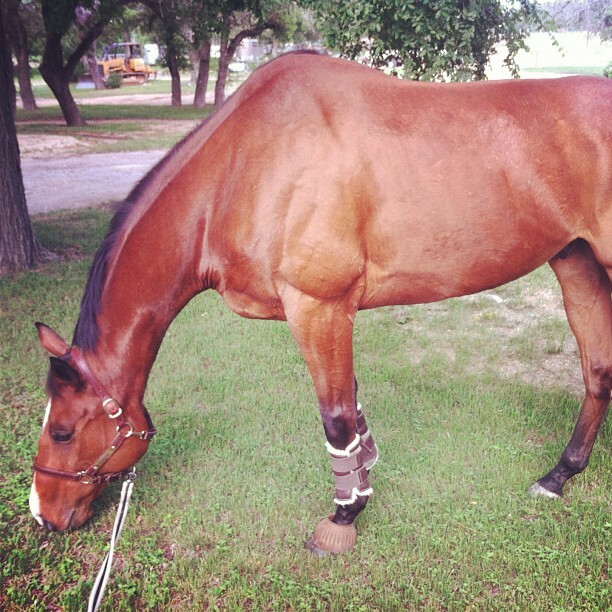 It actually reminds me of ShowSheen a bit, because the horse is nice and shiny but it’s NOT slick like ShowSheen. Below you can see a picture of shiny Simon with his UltraShield Red on. Did Flies Hate it? Flies didn’t love it! I spray pretty heavily, especially on his front legs, but after application I didn’t notice any flies bothering him while I was grooming, riding or after. Would I buy it? I absolutely would buy this fly spray. For sure! 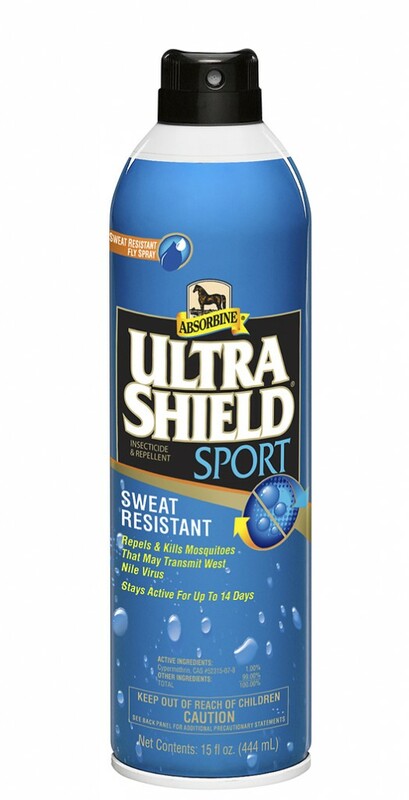 This UltraShield fly spray is designed to be resistant to sweat and water. A good idea for our hot Texas summers! Pros: The fly spray definitely is going to last through a sweaty horse or some very light hosing/rain. I mean, maybe this fly spray is meant for horses that are much cleaner than mine… but for the typical non-wellington show horse he’s not that dirty. Did Flies Hate it? Oily dirt gloop or not, flies don’t like this stuff. Would I buy it? Nope, not for me. Too thick and greasy. Same deal as the regular UltraShield Sport, but in an aerosol spray can that may or may not kill the ozone. Pros: Very light! No goop, but a fine spray that covers out well. Cons: You might inhale some if you groom near fans. It’s misty and fine so it’s a tad hard to get all of it on the horse. Do flies hate it? No fly problems here! Would I buy it? Yes!!! This is my favorite spray that I’ve used, and I will probably be replacing my bottle. Hope this helps some of you wayward fly spray shoppers! Do you have a favorite fly spray that you use? Disclaimer: Absorbine sent me these products to review but I received no otherwise compensation or instructions for writing this post! Interesting!! As you know, Red can barely even get near fly spray without breaking out in hives and etc, but Cowboy and Spirit desperately need a new spray. 🙂 I’ll be checking these out!! It’s so good to get reviews on practical stuff like this. Every time I go to the tack store and look through the (feels like) bajillion choices of fly spray I get a headache. Out of curiosity do any of these fly sprays claim to offer any UV protection? Man, I love product reviews like this. I’m totally more likely to make a product purchase if a fellow equestrian can recommend it; it seems like there are 10,000 fly sprays on the market and I don’t have the funds to dabble between them to find what works. Environmentally friendly or not, I’m an aerosol user—that continuous spray is the only way to go, in my book. I’m a loyal Pyranha user, but might pick up some of the Sport Continuous Spray since you liked it. Pyranha tends to leave the oil + dirt problem after riding, so maybe it’s time to switch things up. Thanks for the review! I am always on the search for fly sprays that actually work. What I am using now is oily and attracts the dirt. But my next bottle will be one of these! I like Farnam Endure so far. 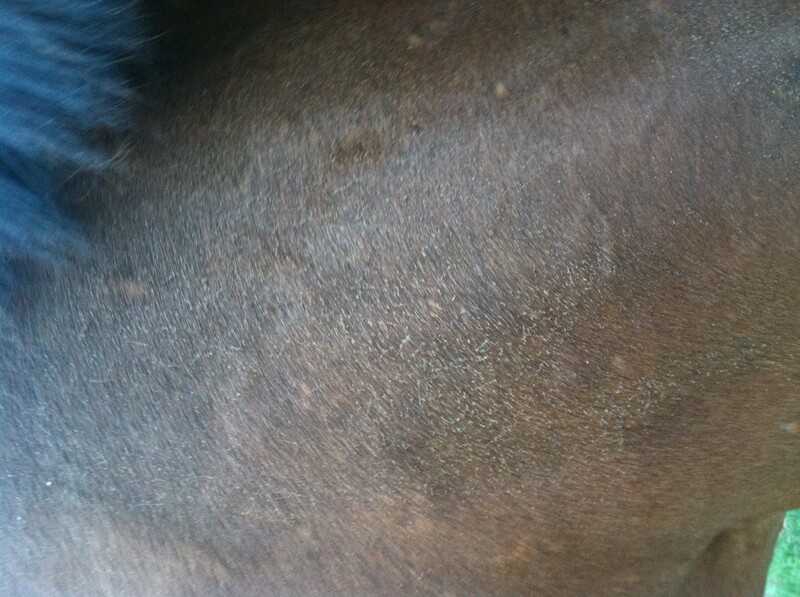 And my farrier recommends the Freedom spot treatment stuff that you only have to apply every couple weeks. I’m gonna try that for Lex because she keeps getting covered in ticks and it’s grossing me out. Also, the fly spray I use does NOTHING and he’s very buggy. I’ve actually never found a fly spray that I find works. I’ll have to try these 🙂 Wish I’d get some free samples!! P.S. love the boots you sent me! They fit really well! Always on the look out for some good fly sprays. Thanks for posting!! I love Ultrashield Red!! It works as well as Ultrashield EX (black bottle), but is like $5 less! I don’t need a fly spray that lasts 17 days (like EX’s claim) when I’m hosing my horse off every other day. I do need it to repel flies 24/7 in-between baths, though, and Red excels at that! In South FL the flies are something to be reckoned with during the day, and then we had mosquitoes and midges at night. Lily would break out in hives from the midges. 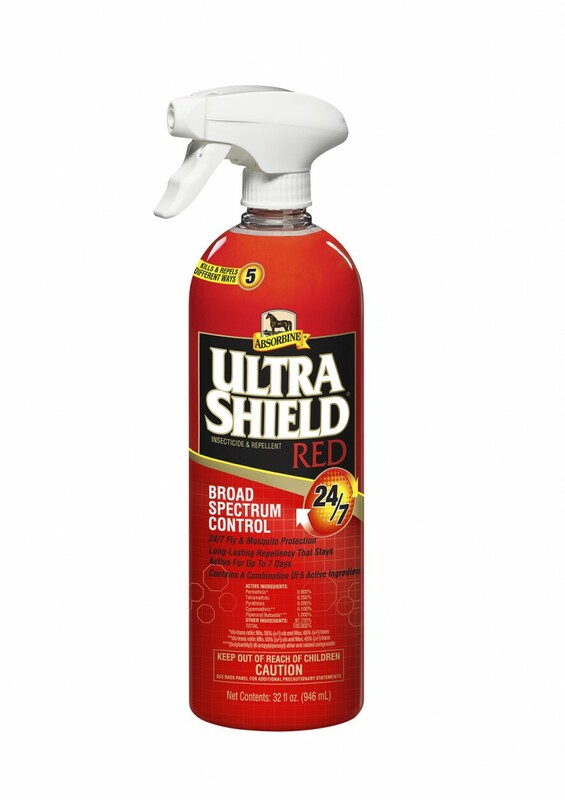 Ultrashield Red was the only fly spray that prevented that. I’m going to have to try out the Sport Continuous Spray! I’m going to try the Red. We haven’t seen a fly yet, but we’ll probably get them in another week.